Welcome to my site. I have been a professional artist since 1995, but have been drawn to the arts my entire life. My training is in ceramics arts. My mother was a functional potter, and after college I did an apprenticeship with Peter Johnson of Whitehall Mich. Peter owns Terrestrial Forming Pottery Studio and has his MFA from Alfred University. He gave me the knowledge of what it takes to run a studio; dedication to your craft, determination to solve problems, motivation to work everyday, the joy of simple living, the humility of being able to do what you love, and truly appreciating the people who are drawn to your work and support your creativity. My love of textile and texture has always been evident in my past work, but I was introduced to felting and wool by my sister. 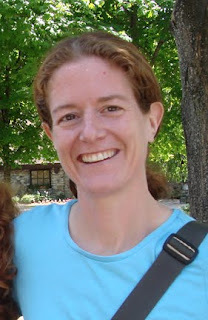 Heather is a veterinarian and very successful Shetland sheep breeder. Windswept Farms is the ideal place to fall in love with sheering, dyeing, spinning, felting, and weaving, and I did! At first needle felting was used as accents in my ceramic sculptures, but as I continued with the process the felt took over. All of these events and many more have lead me to my newest series of work "porcelain + felt". Please take some time and enjoy my site. I look forward to your comments and questions! I am thrilled to announce my inclusion in 500 Felt Objects by Lark Crafts. 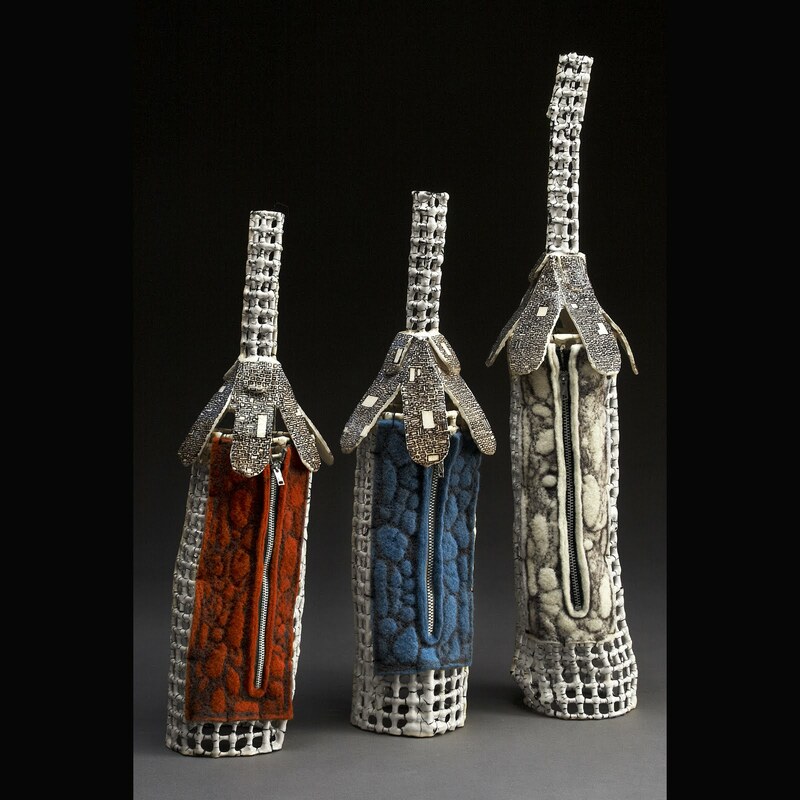 Chosen by Juror Susan Brown, curator of textiles at the Cooper-Hewitt, National Design Museum in New York City. 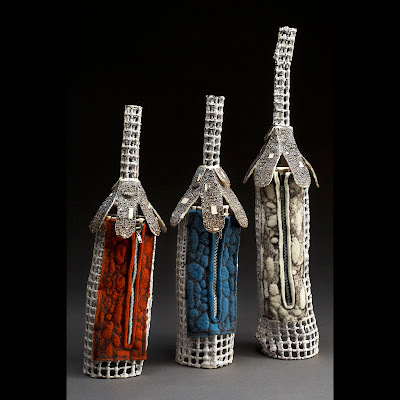 The book is a fantastic example of broad range of work being created by felt artists from all over the globe. 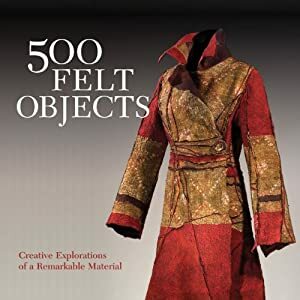 I recommend the book to anyone interested in felt and design. Look for me on page 215! Windswept Farms / My Sister's Site!